Paris is full of beauty in many forms. Things you would normally take for granted appear to have a greater appeal in Paris. Doors quickly became a theme. One evening back in our room as I was going through the day’s photos I noticed that “7” was the address on several of the doors. It was pure coincidence, but one worth pursuing. For the rest of this trip and subsequent trips to Paris I starting looking out for these “Door 7” sightings. It became a fun little distraction as we strolled around the city. 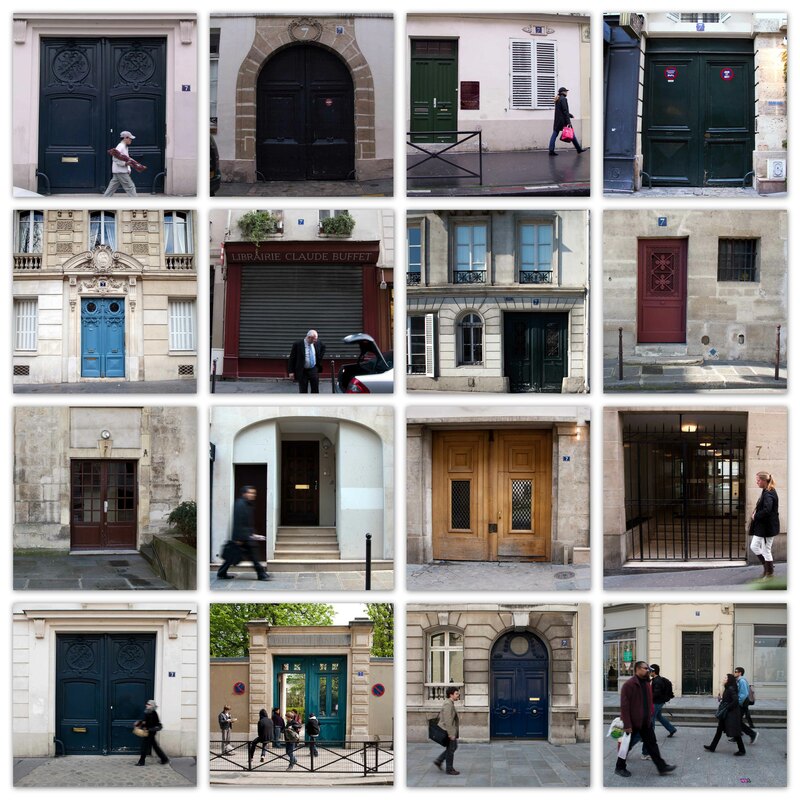 Every photo in this collage was taken on the Left Bank and the vast majority of them were taken in the 5th and 6th arrondissements. I believe there around 40 photos in the collection at this point. We are headed back to Paris next week and thanks to a photo project posted on Facebook the interest has been renewed. I am looking forward to adding a few more to the collection.